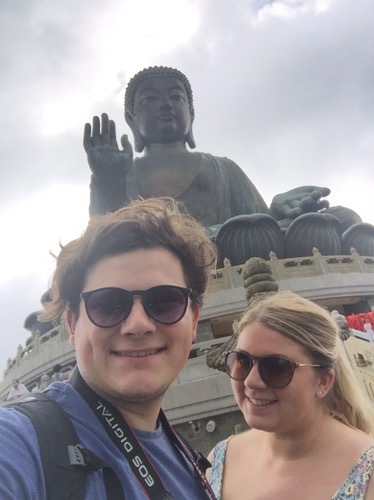 Our first full day here in Hong Kong, and after doing some researching we decided on going to Tung Chung to see the Big Buddha. Again we jumped onto the MTR and found our own way to Tung Chung, it’s one of the furthest stops away and took about 25 minutes. 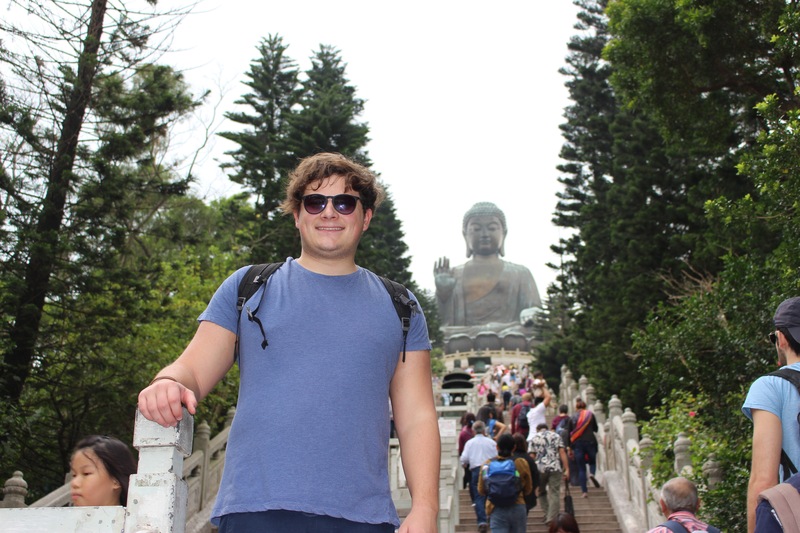 Normally you can take a cable car upto Ngong Ping where the Big Buddha is, but just our luck they were out of service!! 😦 so we had to get a bus. The queue for the bus was an hour long out in the sunshine. All the locals had umberellas to sheild them from the sun, obviously we left our brollys at home back in Manchester!!!! The bus took about 35 minutes, Bonus though, I didn’t get car sick!!! Woo hooooo! 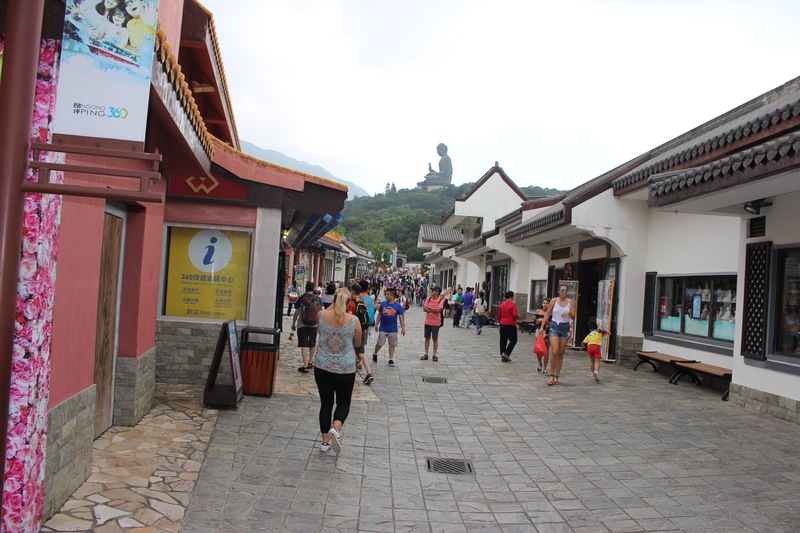 Once we arrived in Ngong Ping we had a little walk around the village which was really cute! It had the usual shops with souvenirs and some big name places like subway and Starbucks! 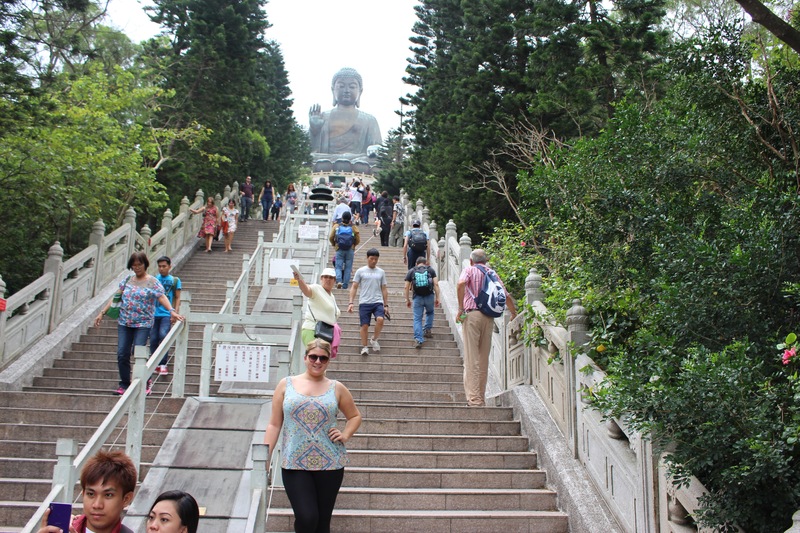 We headed up to the Big Buddha which was 268 steps up but really worth it once you’re up there! It was busy with tourists and a lot of people were praying to the Buddha which was nice to see. It wasn’t too sunny but it’s really humid here all the time! So the steps really took it out of us!! Lol! 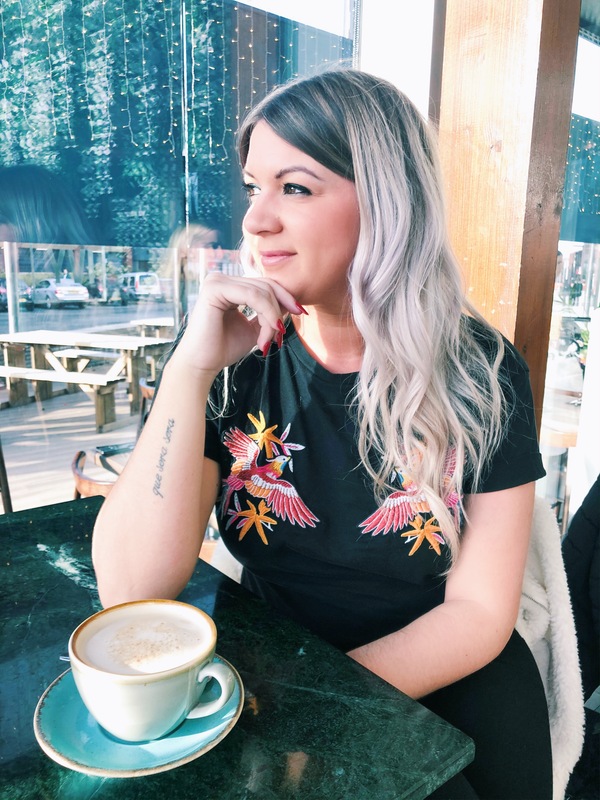 We had a really nice day though and it gave us a real glimpse into China life, and it was good to get out of the busy city and take some time out. 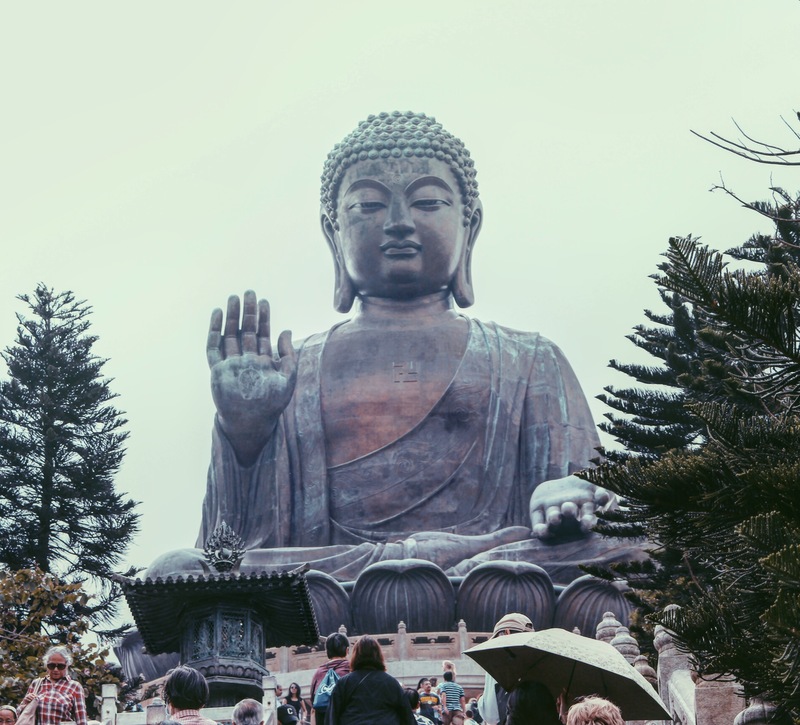 Even just to sit and look at the Buddha quietly was nice! It’s a definite must for anyone visiting Hong Kong! !